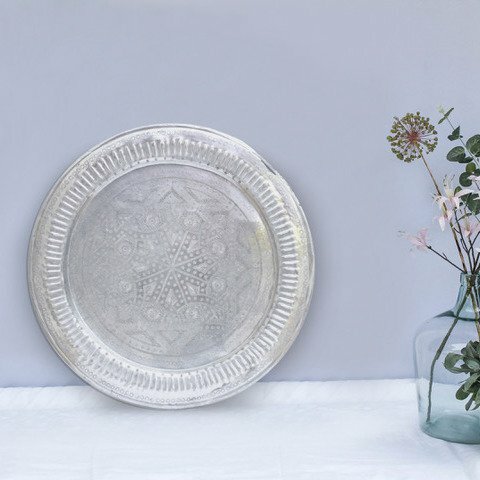 Handmade, Moroccan trays | Simply Pure - simply pure. Who doesn’t like a mystical, Arabic atmosphere at home? 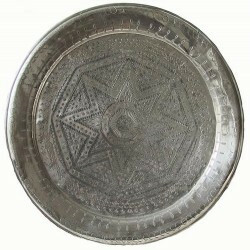 Moroccan trays are therefore extremely popular and sometimes hard to obtain. 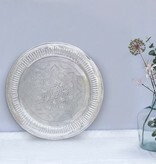 Luckily we have an amazing collection of handmade serving plates! 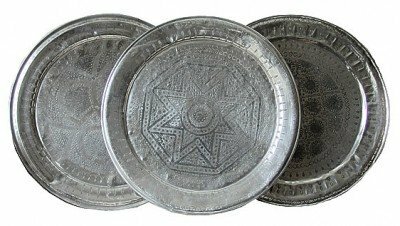 Our traditional trays are made of aluminum, which makes them extremely durable. The decorations are completely hand-applied. 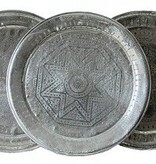 Our products are available in different sizes. 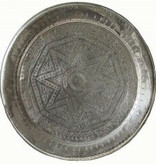 We can also supply table legs that turn the top into a beautiful Moroccan table. Refined trays of high quality. Available in sizes of approximately 75, 85, 95 and 105 cm. Table legs available for 25 euro per set.